In November/December 2017 Physiopedia, the International Committee of the Red Cross (ICRC) and the Global Clubfoot Initiative (GCI) successfully delivered the Managing Children with Clubfoot Massive Open Online Course (Clubfoot MOOC) via the Physiopedia Plus online learning platform. In collaboration with Humanity & Inclusion (HI) there was a concurrent French version of the course. The course provided a framework to develop theoretical principles for the management of children with clubfoot relevant in all contexts. It introduced the pathoanatomy, etiology and epidemiology underpinning idiopathic clubfoot, including: idiopathic in an infant, idiopathic clubfoot in the older child, relapse and atypical clubfoot. The course explored assessment and the roles of the multidisciplinary team, as well as providing a theoretical understanding of management techniques and related clinical considerations. It did not teach practical skills or lead to any clinical qualification. The global network formed through this course will allow for shared knowledge and experiences to support good health care and a better quality of life for children with clubfoot and their parents, all around the world. About this course​ - This online course covers basic theoretical knowledge of managing children with clubfoot. There was an English and a parallel French version of the course. Who was the course aimed at​ - The course was written for physiotherapy clinicians, students and assistants; other healthcare professionals interested in this subject were welcomed to participate. Requirements​ – Participants were required to complete online learning activities, engage with additional resources, take part in the conversation online and complete the course evaluation.Assessment​ - There was a final quiz and participants could optionally complete an assignment to demonstrate their learning. Awards​ - Completion certificate plus 16 Physiopedia Plus (PP+) points. The Clubfoot MOOC was developed as a collaboration between Physiopedia, ICRC and GCI. Physiopedia and ICRC provided funding. The ​ACT Team​ and partners, including the University of Oxford, CURE International and Global Clubfoot Initiative kindly provided content for the course, which was supplemented with additional material from global experts. HI completed the French translation of the course. During November and December 2017 Physiopedia ran their sixth Massive Open Online Course titled Managing Children with Clubfoot (Clubfoot MOOC). The course was developed as a collaboration between Physiopedia, ICRC and GCI. The ​ACT Team​ and partners, including the University of Oxford, CURE International and Global Clubfoot Initiative kindly provided content for the course, which was supplemented with additional material from global experts. A French version of the course, translated and facilitated by HI, ran concurrently. The aim of the Clubfoot MOOC was to train the distributed team of ICRC staff and partners to have a basic understanding of the theoretical knowledge that underpins the management of children with clubfoot. The content of the course was designed for physiotherapists in any global context, all healthcare workers from any location and context were invited to participate. Being open for anyone to participate allowed for global conversation around the topic and enabled peer-to-peer learning across contexts and experiences. The four week course presented different topics each week through a variety of learning activities to suit all learning styles. The required learning activities each week were proposed to take between 4-6 hours depending on the participant's learning style and optional activities were provided should the participant wish to take part in additional learning. A short orientation period before the course started provided participants with an opportunity to become familiar with the delivery platform and the topic via the provided pre-course resources. The course was delivered through the Physiopedia Plus (PP+) online learning platform, an innovative platform specifically developed to deliver online education and provide learners with a personalised learning dashboard. Each week the new learning activities were released on a specific course page. As participants engaged with each learning activity it was recorded and displayed in their own personal learning dashboard. To finish the course participants were required to complete all the required learning activities and pass a final quiz that tested knowledge. There was an optional assignment to demonstrate their learning. On completion of the course the participants could download a completion certificate and also export a record of their learning from their activity log. This report evaluates the experiences and engagement of the participants on the Clubfoot MOOC. This course aimed to provide a basic theoretical understanding of clubfoot and to align global understanding of the theoretical principles underlying the management of children with clubfoot. This course was suitable for all healthcare professionals but specifically aimed at physiotherapy professionals including clinicians, assistant or students who have a good understanding of the key principles of physiotherapy but little prior experience in clubfoot. It was also of interest to any professionals (e.g. prosthetists, orthotists, nurses, occupational therapists, speech therapists, medical doctors) motivated to upgrade their knowledge on clubfoot. The course was free to all participants who completed the course within 8 weeks from the start date. Course completion certificates with 16 PP+ points were provided by Physiopedia to all participants that passed the course. The course was accredited by the ​South African Physiotherapy Society​ (SASP) for 16 CEUs and the the ​Federation of State Board of Physical Therapy​ (FSBPT) for 10 CEUs. The course was provided through a page on Physiopedia Plus (https://members.physio-pedia.com/learn/clubfoot/​). This page was visited a total of 20,358 times before the final date of the supported course on 31 December 2017. This page directed participants to set up a free account with Physiopedia Plus; the participants had to login to access the course. The course was made up of a total of 46 required learning activities (full details in Appendix 2). There was an additional X optional learning activities that participants could engage with as they wished. Participants were required to participate in the discussion forum on a weekly basis. They were required to take part in a minimum of 8 discussions over the course with at least 2 posts per week. This was made a requirement as it provided a rich learning experience through self-reflection on learning and exposure to global discussions about clubfoot. This was the task that participants found most difficult to complete. The discussion forum was hosted on the Physiopedia Plus platform where participants were asked to comment on the weekly guided discussions. It was clear that not all people engaging with the course joined participated in the discussions. Each week ​participants were given the opportunity to assess their knowledge and understanding of the topic through multiple-choice quizzes. Participants received immediate feedback on right and wrong responses making this a rich learning experience. To complete the course participants were required to fully engage with all 46 required learning activities (Appendix 2), participate in the discussion forums and pass the final quiz. From Physiopedia Plus, they received PP+ points (equivalent to hours of learning) for every learning activity that they completed and a course completion certificate on completion of all the required elements of the course. The SASP awarded 16 CEUs and the FSBPT CEUs are to be determined at the time of writing this report. Reflecting on their learning and using the knowledge gained throughout the course participants could submit an optional assignment. Participants were asked to follow the ​assignment guidelines​ on Physiopedia and the assignments were assessed by the Physiopedia team. The marking rubric was kept fairly simple but each assignment needed to demonstrate: evidence of learning from the course, academic skill with evidence based writing and proper referencing and written English skills. 554 (471 English and 83 french) participants completed the evaluation form at the end of the course. Overall there was agreement that the course was enjoyable to work through, an appropriate length with the right amount of work required each week, was pitched at the right level and would be recommended to colleagues. The participants agreed that they found the Physiopedia pages, quizzes and videos most useful for learning. 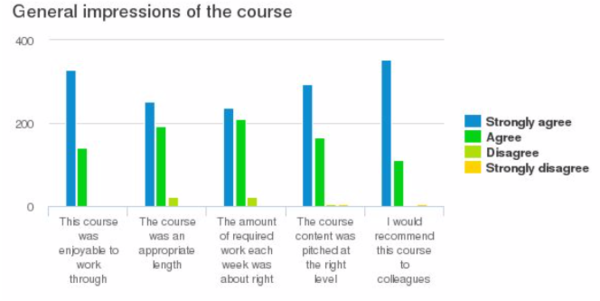 In qualitative feedback that asked “what were the best elements of the course”, participants generally responded positively about the course, they particularly liked the Physiopedia pages and the videos. Full results can be explored in Appendix 3 (inappropriate comments, such as those that did not answer the question, have been removed). When asked “how could this course be improved”, participants generally reported that they did not enjoy was the repetition between the videos and the Physiopedia pages, a fair proportion stated that it could not be improved. Full results can be explored in Appendix 4 (inappropriate and positive comments have been removed). The feedback demonstrates the many different learning styles that people have. On this course, some people prefer the reading activities and others thoroughly object to it, most enjoy the videos but others say they are lengthy and boring, most people dislike the discussions but others really do like them. Many people stated that there had been positive changes to their own individual clinical practice. Participants indicated knowledge development that has changed their practice to be in line with gold standard clubfoot management (i.e. use of more appropriate assessment forms and alternative methods of treatment with Ponseti). Many highlighted how they will now pay more attention to psychological factors and the positive engagement of parents/carers for compliance and better outcomes. There was also a significant number of participants who suggested that they are now seeking to share knowledge with colleagues, review existing services and get involved in developing new services in their country. For full results see Appendix 5. Clubfoot is a specialised subject that requires the health care professional to have specialist knowledge and skills to appropriately help affected individuals in reducing disability and improving lives. This course provided easy access for interested individuals to gain theoretical knowledge of managing children with clubfoot with an international network of colleagues. Continued free access to the course content via the Physiopedia website allows health care professionals and carers to gain access to knowledge at any time in an easily accessible way. Follow up practical training is offered with GCI and ICRC. Course registration data demonstrated the unique opportunity that this course has provided in offering an easily accessible knowledge development option for health care professionals across a wide distribution of geographical locations and contexts. Course evaluation data highlights the positive impact that this course has had on clinical practice. There is suggestion of change in practice to utilise more appropriate clinical tools and approaches to care, and to incorporate a more holistic care package to include management of psychological factors and parents/carers to improve compliance for better outcomes. One significant outcome from the course is the enthusiasm to follow up by the sharing of knowledge, review existing services and development of new services, particularly where little or nothing currently exists for children with clubfoot. For ICRC, the opportunity to provide access of information in volatile contexts, such as Syria, Libya or Yemen, enables the planning of future clubfoot practical training and service development. The course will provide baseline knowledge for staff and partners to participate in future practical training and the initiation of new clubfoot services in ​Iraq and Palestinian Territory-Gaza. For GCI, the course has supported their mission to educate health care professionals globally to manage children with clubfoot in the most appropriate and effective way. The course and the continued access to online resources offers an excellent introduction to the practical skills training that GCI offer. Great combination of information and step by step instructions. All the parts of the course are useful, the videos,images and literature search activities. I did not have any experience of clubfoot so this was all very interesting to me. I think the course was set out in a logical manner and progressed from basic anatomy through to the condition, treatment and follow up. I think all the information was presented in a way that was easy to understand and the requirements to progress through each section were clear. There were lots of useful resources provided which will continue to be useful into the future. The whole course was good. I enjoyed a lot the whole course i.e all the literature, images, videos and additional information but enjoyed the videos which was on practical casting and the different techniques used as a clinician it was useful for me. For me most useful was Physiopedia pages and Videos. Discussions was useful as well because I had opportunity to stop from learning new material and think about what I have had learn. The visual help via the pictures and videos was excellent. It made the course real life. The Ponseti correction along with the key principles for its treatments. The delivery of up-to-date and precise information was invaluable. Spread of awareness to both the problem of untreated clubfeet as well as the possible treatment is definitely important. Good interactive activities, good opportunities for enhancing knowledge and learning something new. The PDF handouts on the Ponseti method and parent handouts were especially helpful to have. I liked that the subject was introduced in a way where someone who has not dealt with/studied clubfoot before was able to learn the theory of what it is, types of clubfoot and treatments for it. Common error in clubfoot treatment. Videos reinforced learning of content of articles. As well a few things were hinted in the beginning (atypical clubfoot, relapse etc..) which created repetition, by the time it was explained as a topic the familiarity helped to follow reasoning smoothly. I am interested in foot but always excuse myself with "biomechanics is deadly difficult", I really grateful that this course made me revise some foot anatomy and biomechanics, I only wish there were more learning activity dedicated to assessment of a walking child. I learnt a lot from the various video and journal articles. Honestly I enjoyed every section of the course. It was a refresher for me and some were new information and very important to know and to practice in my professional job. The techniques for manipulation was very clear and it build on my technique for perfect for clubfoot care. The importance of trained assistant is very essential. I work alone as the trained personnel but I use my parent or a family member to assist me in doing the treatment. Now I need to train other personnel to work along with. The well explained instructional videos on the treatment of clubfoot. The detailed anatomy section. 1.Types of clubfoot. 2.Ponseti method of treatment. 2.How to start a CTEV clinic. 3.Bracing protocol. I did enjoy 2 videos the one of the Orthopedic surgeons telling their experience with the neglected clubfeet and the video of the current situation of clubfoot clinics in Zimbabwe. I was on my own, following the course, so I did not have any discussions or reflective activities. The best aspect of this course are the anatomy of the foot,Pirani scoring system, Ponseti treatment regimen and procedure of tenotomy. I really enjoyed learning the Pirani scoring method, to have a standardised test for each child that I see so that I can monitor their progress. Learning from different people's experiences. I did not know about the Pirani scoring and how it is linked to the number of casts in the treatment of clubfoot. clearly described the ponseti method, which to be very honest, I've never heard before.|some case studies showed how successful the method was and easy to understand the theory. |of course I got no actual technique but it was good to learn. Explanation of the ponseti method. Learning the Ponseti method and the Pirani scale as well as info about FAB were most helpful. The Physiopedia pages were concise and easy to review. Understanding the different types of clubfoot that I didn't know existed. The best elements are the video narrative and interviews with clubfoot clinicians all over the globe. The illustrations with plastic foot model and the videos on how to correct the "CAVE" deformity. The tempo of the voice over is also commendable. The repetition of key words like "CAVE", snugly apply the cast and do not touch the calcaneus are excellent. the videos and the images are one of the best parts in the course. Demonstrators had explained the contents with simple English and clearly. Quiz had given chances for me to refresh learned contents. I enjoyed how it was laid out, good progression from one section to the next. The anatomy review of the foot and ankle was invaluable at the start of the sessions. the video on how to hold the foot for manipulation and casting were great. I also enjoyed the extra reading or video material. The cases were also very great to see the before and after. I enjoyed learning about the Ponseti method of treating clubfoot. It has broadened my knowledge when it comes to managing clubfoot. Enjoyed learning about how the Ponseti Protocol is done all over the world. Every aspect of the course was useful.I had so limited knowledge about clubfoot and its management and I was able to gain a lot to inspire me to look into specializing as a clinician in clubfoot management. I really enjoyed the topics concerning neglected clubfoot and how to deal with older children. Anatomy of the foot and management of clubfoot. I learnt a lot from the interview with Denise Watson and her experiences of what she has learnt over the years. You can't get this from books.|Having been treating babies with CTEV for one year, I found this invaluable to consolidate and further my knowledge. I found those pages containing detailed images and video footage very useful, e.g. teaching of pirani scoring, casting techniques as well as interviews with experienced clubfoot PTs (PT from London). Those pages made me realise how detailed and delicate the ponseti treatment actually is and that it requires a lot of training and experience to successfully treat clubfoot, as well as that you can do damage (atypical clubfoot) if insufficient care is taken during treatment. every single part of the session was very important and informative. I enjoyed the information websites and some of the videos. The structure of the course is well constructed with the information well divided in the 4 weeks of the course. Thanks you have more elements is perfect . Actually every component of the course added to the others, hence, the best elements were all the elements.! Book chapters ,videos ,images physiopedia pages and quizzes are all best. The pirani score and the ponseti method. Brand New to me. I loved learning so much about CF. I thoroughly enjoyed the physiopedia pages as well as the videos that went along with them...really enhanced my learning. The discussions session is very important and I like that very much as I can share my knowledge with my colleagues and also the quizzes helped me very much in checking the obtained knowledge. The complimentary videos together with the physiopedia pages, also the experience reports from practitioners working in different settings. I enjoyed the discussions where I can gain a wider perspective on the topic studied from people of different parts of the world. And also the interviews with real-life professionals on the field, it's really interesting to hear their stories and the best part is that physiopedia had made it accessible for all without any cost. Thank you so much for sharing the knowledge, I am sure many people around the world have been greatly blessed by this course. The videos where information was given succinctly and slowly with the use of subtitles were most beneficial. Good repetition of pertinent points was made. The part with Ponseti, Pirani score and Recurrent clubfoot was most interesting for me. I like the additional resources section. It contains so much information and definitely is very useful for further improving myself. The videos and images are the best part in the course. Case discussion gives clinical reasoning skill for me. Videos and images are very useful to understand the concept. In addition to these,the cross referrals were useful to learn more information. To have a FRENCH version! The videos with the powerpoint slides. The best elements was the articles, videos and experience of others. I really enjoyed that I could do this at my own pace. I also appreciated hearing from people in different centres around the world to hear about their experience with club feet. The best elements of the course were the reinforcement of basic principles through reading physiopedia pages and the videos. I felt like I truly got a grasp of the take home points because of the multimodal learning activities. This course was at a perfect level for me as a pediatric PT with limited Clubfoot experience to understand. I feel a lot more confident if I come across this diagnosis now! It was very good to start with anatomy of the foot and to go into the special clubfoot information.|I liked videos very much, it was nice, that there were also some questions in presentations. Videos with questions. Back to anatomy of the foot to understand the difference. The video showing the casting technique was very useful. The reading aspects are very intensive and the videos are easy to learn. I was inexperienced with clubfoot. I was worried being from a profession other than PT that I might get lost in the jargon but it was simple to understand and practical . The best thing of this course is that all things are presented in a sequence, building knowledge from start to end. Appropriate stuff at right time. The Physiopedia pages, quizzes,videos and images were the best elements. I enjoyed much on treating clubfoot in older children. Actually I learned a new thing (TATT) Tibialis anterior tendon transfer and posterior release. I will so much ask surgeons to learn more practically. Thank you guys. The best element of the course were the videos procedure of ponseti method presented well also the physiopedia page are well articulated to rhythm with the videos. Videos (although slightly too lengthy). Case studies. Everything was good. I enjoyed all the topics. I enjoyed all the parts of the course especially having to see practical videos, consented patients with follow up treatment, the ponseti method used in all types of the clubfoot mentioned. The clubfoot organisation and facilities helping out to reduce disability among people.the interview of the workers really impacted me,I could see their commitment and passion for what they do. I so much enjoyed the course. Although all contents of the were best, I really appreciated identification, assessment, manipulation, casting, tenotomy and bracing if clubfoot. Most of the video show possibility that we can try to apply clubfoot treatment without having technical practical lecture. It is best element. I enjoyed videos and case studies. I enjoyed the treatment neglected clubfoot part the most, but all the cause is really interesting. I liked that there were videos about casting and I got a great understanding how Ponseti method works. I enjoyed learning about the process of Ponseti method as well as the scoring methods and questionnaires used with parents. Videos was most best elements for me because all videos was very informative and useful . I found many topics useful which i was not aware of like pirani score and ponseti method..
Great information. Easy to understand with good choice of videos and journal articles to back up these information. I found learning about the Ponseti technique to be the most useful part of the course. I found the explanations provided on the videos was very helpful and supplemented the written information effectively. The most important was the whole process of the Ponseti Method and the maintenance. It's a very big challenge. It's seems strongly connected to the professional ground.Different aspects of the pathology are clearly explained, in a strong structured manner.|I shared this experience with some colleagues and suggest to my manager that It could be financed by the hospital as a real way of training. all topic perfect good knowledge for people the don't treat clubfoot before,but there is one things missing its practice in new cases and old children . I learned so many new things in this course like cave sign,pirani scale,ponseti Rx,types of clubfoot etc...for me the best elements are all videos and all quizzes of the course.. I find videos and Physiopedia pages the best. Learning about the Pirani score and the Ponseti method. Also that the method can also be applied to older children with good results. The best elements of the course is the systematic overview of the Ponseti treatment. It gives a clear manual for the therapist. The practical videos especially the African Clubfoot training videos, although some moved a little slowly for me. I very much enjoyed the conversations with the people who work in this field, thus the application and challenges, and especially the feeling of compassion they have for the children, and their passion for the using this method. obviously based on the good results they are getting from it and the huge difference they make to these children's lives. thank you!! Everything about this course opened my eyes to the best treatment option. I enjoyed the review of the anatomy of the foot which was needed to understand the treatment. I loved the parent handouts. I enjoyed the anatomy and physiology review pages. The provided research was interesting. It was really helpful to understand the different stages of the Ponseti treatment based on the Pirani Score. Despite being a physiotherapist myself, I never fully understood the manipulation that was performed at the time my son was treated. I found the whole course very useful because although I thought I knew enough about clubfoot and Ponseti I learnt a great deal. Literature and videos were best. the flow of the subjects was perfect, the pictures are very useful, and the discussion board is really interesting and enjoying. Education on the physiology of clubfoot as well as the correction through Ponseti casting was excellent. Hearing about the barriers to treatment in developing countries was very eye opening and gave perspective as to the opportunity living in the USA affords patients. I sincerely did enjoyed 90% of this MOOC. It was well structured, organized, clear, with a variety of didactic material, easy to follow our learning steps thanks to the dashboard, quick concrete knowledge available. This MOOC is a valuable requirement prior any practical training. Congrats!|| To answer more concretely to the question, the best elements according to me were the chapters/videos/images on introduction to CF, management of CF, Pirani score, Ponseti method, Achilles tenotomy, bracing for CF, common errors in CF management and the regular quizzes However, I also have to admit that I was not much receptive to the chapter on incidence/prevalence of CF and the literature search (more of a hands-on physio) as well as the last part on recurrent and atypical CF. I felt more distant with the latter as a brand new CF management learner and due to the additional challenges that theses situations bring in practice. Time will come when I'll be ready though. First I need to digest all these information given! I enjoyed the videos which often recapped the reading part of the course. The good visual aspects enabled me to see the different aspects of clubfoot and its treatment. This was especially helpful as I do not work in a clubfoot clinic at the moment. I found the interviews a good source of information and it was good to hear how it related to each country. The entire course was excellent. I learned a great deal. I actually have a current 15 year old patient that I am going to look at much more closely. She has a very abnormal gait pattern, walking on the lateral borders of her feet. I'm now wondering if she has mild bilateral clubfoot that was never diagnosed due to other medical and cultural issues. I'll let you know the outcome. Understanding the mechanism of CTEV (incl neglected CTEV) and how to correct it. Some of the video interviews. Quizzes to test my knowledge. The diversity and different opportunities (articles, videos, interviews). And that people from all around the world took part. I quite frankly enjoyed every bit of the course. I didn't know much about clubfoot but I can confidently say I am more knowledgeable now. I found all topics useful.The topic I like more is Pirani score. I enjoyed most the video illustrations provided in every section to explain the topic being discussed like the anatomy and treatment sections. For me, it was all of this course, that was the best:) I had no idea before about complexity of clubfoot, it's treatment and all. The videos was the best part for me as i could learn more practically from them. The Ponseti treatment - corrective and maintenance phase, Pirani score and parents education. I found that the information in each "chapter" provided enough understanding to gain a basic understanding of this topic area in relation to our profession. |It was a really good refresher to have all the anatomy and to see others experience in this area, although since there are so many participating that I only read those just before my posting! I really enjoyed the videos from people working at clubfoot clinics. I have very limited experience in this field so I felt like I learned a lot about how they approach the subject - form assessment to treatment. And knowing that the Ponseti method can make such a huge difference in someone's life is amazing! For me the best elements of the course was the discussion on the correction for atypical clubfoot and neglected club as i am not so good or confused on this type of clubfoot in my practice. Liked the videos as was good to see actual examples of clubfeet. My best elements of the course on clubfoot is mostly in the assessment of clubfoot(section 2)using the pirani scoring method, followed by the ponseti method of treating clubfoot especially the videos aspect. |I really enjoyed the course,thanks to physiopedia. I am a visual learner so I enjoyed watching the videos. It was focussing on practical management of clubfoot. It was great to be able to do this at my own pace and. In my own time. Distinguishing the different types of clubfoot.|Understanding the casting technique.|Management process and what it takes to set up a clinic. I enjoyed all parts of the course especially the videos. The case studies were one of the best elements, as well as the physiopedia pages. In general the whole course too much informative and some repetition of same elements also helpful in the sense again you through which is a kind of recalling what we learned. I enjoyed the most video presentations by the Africa Clubfoot Training and interviews with experts. The videos and pictorial illustrations gave life to all lectures. It made it easier for one to understand the management of clubfoot. I really enjoyed the management of clubfoot in neglected cases. I used to think only babies can get help. The detailed video lessons was the best part for me. the physiopedia pages where very informative. Best element of the course is smaller aspect like neglected clubfoot. and extensive literature search.the videos were amazing, clearing our concept very well. Management of clubfoot and the different types of clubfoot. Also the role of parents in clubfoot management. Effective management considerations was the best element of the course. The videos and pictures - because they enabled me relate well and have a better understanding of each lessons taught. I think the course outline itself gives an adequate information on things that we need to learn in case not familiar with Clubfoot Management ( Ponseti Method). The best elements for me are the case studies, a video conversation with different disciplines-clinicians who are practicing Ponseti Method and discussion or reflections portions because for me as a PT it gives me freedom to exercise what I have learned from each week's topic and what I have understood. I really very glad from this course, I have learnt a lot from this course. Before this course i even didn't know, what is clubfoot and what is their prevention. i know about the types of clubfoot, which is new knowledge for me. and also casting techniques, foot abduction Brace timing, know about CAVE and much more. Thanks a lot Physiopedia and their colleges. The personal experiences of those interviewed. The videos that reinforced the readings. A few of the journal articles. I enjoyed every part of the course. When I started I knew I had much to do and I am glad it paid of. I am looking forward to putting my learning to work. I have learned the lot from your course ,anatomical knowledge is very important for treatment and videos about the anatomical structure of the foot and ankle made more easy in understanding ponseti method. I enjoyed the videos the most cause it's one thing to read about the condition but when you start to see how the treatments are done and the lives that are being affected positively it really does make a difference. I found units 2, 3 and 4 most useful. They were well designed, each one building on the last. All the videos were very useful. The references provided were useful too. The course was very useful. It exceeded any expectations I had. The practical videos were especially useful, rather than reading the outline of the method. I don't work in direct clubfoot care but my understanding of current care and past care informs my assessments of mature clubfoot presenting in my community. I enjoy a lot the section four, which is very interesting and also difficult. the best part I find it very interesting was quizzes and images with marks|it was so useful. The visuals and videos added the most to my course experience. I enjoyed how clearly the quizzes reviewed the weekly learning points. This is a topic that not everyone gets exposed to on a daily basis. Therefore the fact that it started at a very basic, foundation level meant that it was very easy to get up to speed on the topic. Detailed anatomy and explanation of all elements of the course!! Ponseti method, quizzes and discussion sections were best elements of the course. Overall, course was so much informative. The videos and physiopedia pages. Learning about the gold standard in clubfoot treatment. Now it's not just about abducting the ankle and bracing. I found the video about the management of clubfoot mst useful|Besides, the journal article on the comparison between physiotherapist led or physician led management of clubfoot is good for references. The best part were the video, photo and presentations. Overall the course was the best online course that i have followed. Thank you. teaching through demonstration and using simple language to elaborate,making anatomy look simple. The photos, video and the presentations. All was interesting and helpful actually, thank you very much. I found the videos which were backed up with written text to be the most useful. I appreciated the anatomy review. I learned a lot about the Ponseti method of correction and maintenance, which I was completely unfamiliar with prior. The videos and the quizzes. chapters & videos r very interested & useful. Watching the interviews and videos. I liked the layout of the course and the multiple teaching styles. It was easy to navigate and more engaging than traditional courses. Physiopedia pages and images were very thorough and helpful. I enjoyed all the articles involved and how every page had references to refer to. The combination of physiopedia pages and the video presentations. It helped reinforce the acquired knowledge. The quizzes were quite fun as well.The best part was being able to do it in my own time. There were various different elements which made this course interesting. To start off, the fact that after every piece of information given was followed by a video gave a better image of the various topics. Furthermore, I believe that the information given was very detailed. Apart from so listening to other professionals speaking about clubfoot, helped me to analyse the importance of proper treatment for such patients. Also, the discussion forum helped me to discuss further any queries that I had, and also it gave participants room to express their feelings about the topic. I thought the best elements were the Physiopedia pages and the African videos. |Although I could have managed with something a bit faster and more technical, given the language issues and differing levels globally I thought they were done well. I found the video and visual learning great resources that helped with learning. Videos and pictures were very helpful to me, considering I had no experience with clubfoot to draw from in my mind. Being able to see pictures and hear others with experience discuss clubfoot was very beneficial to my learning. The videos and images used in teaching. Learning about Ponseti method, watching the videos on casting and learning more about global clubfoot initiative. I enjoyed the foot anatomy course with the videos.|I also enjoyed the introduction to clubfoot course. The study videos were very detailed. The physiopedia pages were very easy to read and understand. The cases studies were brilliant. The video gives the clear picture of the clubfoot and the treatment.The narration in the video is really awesome because anyone can understand easily.The veteran professionals sharing the experience also really inspiring.Resources also very good to understand that provided in this course.The journals also give detail picture of each steps of this topic. All the elements in this course is very useful especially the videos.The narration in all video is really excellent and outstanding.journals also give details about the clubfoot treatment by ponseti method. This whole course is great for understanding about management of children with clubfoot but i liked the videos very much. Pirani scoring and management of children living with clubfoot. I enjoyed learning about the various types of clubfoot. I also enjoyed the pictures and videos; they helped me to better understand the concepts better. All of the resources and links provided.|The quizzes to consolidate learning, and content presented. I enjoyed the extra resources ie: the zulu translated pamphlets and parents handouts. I enjoyed the discussion videos with the clubfoot clinics from around the world. The videos and case studies helped me a lot, because I have not seen a lot of clubfoot patients having visual input was good. I liked the first section that went over the basics of foot and ankle. Sometimes you lose sight of normal when all the feet are clubbed. I like quizzes. So you will have feedback right now. I had no previous knowledge about clubfoot so found the whole course very interesting. I enjoyed the videos that went over the ponseti method assessment in great detail. Showing how to score and what things you were looking for to assess severity. The most useful information was learning about the Ponseti Method of treatment and how essential it is for families to fully understand what is involved and what their role is in the care of their child. I liked the case studies and the videos of the people working in this field as well. Best element of the course was the literature as well as the video graphic presentations made us learn it quite easy along with that self ask questions in them. That was great. I really enjoyed the course and definitely increased my knowledge regarding clubfoot and the Ponseti method. I think the practical examples, case studies and images illustrating clubfoot were very useful. I also found the videos going through the Ponseti method step by step very good! I think the best element of the course was that If you know a little bit about it before starting the course you will end up learning a lot from it. Images are really helpful and some journal articles as well. I really liked the combination of videos/pictures with articles and written text. It was organized well and the course flowed from topic to topic in a way that was easy to follow. The practical videos of ponseti management is very helpful. I enjoyed the more applicable learning such as the Pirani scoring and the Ponseti method learning the most useful. The videos and some of the articles were apt. They reinforced the information presented in the Physiopedia pages. The videos and journal articles. The anatomy of the foot and ankle joint helped me understand clubfoot presentation. It also made sense how the posenti concept is applied throughout all the stages namely; correct first,then maintain. I especially enjoyed the interview and the work of Dr Nunn and Gardner. They truly inspired me to the point that I am going to try in find work with ICRC. It would be a privilege to to learn from them and work under their tutelage. The best elements of the course were the videos. Treating older children with clubfoot.|Atypical clubfoot.|Idiopathic clubfoot. I extremely enjoyed with physiopedia pages way of providing informations and book chapters with resources is very useful. Videos and pictures I found very useful. Quizzes are the best for knowing what we have learned for some time. The entire course was excellent. I found the video presentations with actual case studies the best part of this course. I enjoyed advanced casting technique by Dr Norgrove. Manipulating and casting the foot using two handed. The in-depth explanation of the presentation and management were very useful - I've already used this knowledge in practice to help to inform parents of newborns with clubfoot. Learning about the Pirani score and the readings and video that went with it. Also about the Ponseti and what an incredible difference it makes , I had limited knowledge about the treatment of clubfoot.In this course I have learnt so much. I think all the videos were excellent, and the content was pitched perfectly for the course. The references were thorough and provide a good list of further reading. I thoroughly enjoyed the course and hope that it will enable me to undertake a practical course. The videos were extremely helpful. To see real life case histories was excellent. Really was a useful learning medium. the videos showing pictures along with narration. The course was easy to understand. Pirani scoring and ponseti technique was a very useful topic for me. I enjoyed every part of the course but especially the part three with all the video and practical illustrations on how to manipulate and correct clubfoot deformity. I found the patient images very helpful as examples. I enjoyed the variety of learning using videos and reading of articles. I like that if you get a question wrong on the quiz you are able to learn the correct answer and try again. I enjoyed the presentation including multiple styles of reading, video lectures, interviews, forums...a very well - rounded course. Also, I learned so much more on a topic I'm interested in but haven't had the personal experience in. I really liked the video presentations and the journal material. The visuals were helpful for me. The video interviews especially the interviews with experts already working with children with clubfoot. Hearing the experiences of clinicians in the field. |Having access to great information. I found the aspects relating to the assessment and measurements tools more valuable and useful. All parts of the course. In particular, the Ponseti Method and Pirani Score. All parts. In particular, learning about Ponseti Method and Pirani Score. Overall it was really fantastic, I personally enjoyed it very much because I was in practical training in clubfoot clinic sponsored by ICRC. I appreciate the efforts of physiopedia and all organization who put their share in it. I enjoyed the videos of this course very much. Section 1 was very interested and the way of teaching is very excited. All content of this course is very very good and helpful. I really appreciated having discussions to ask questions (although i would have loved answers too) and the videos coupled with the readings helped me to understand the material more thoroughly. the videos and pictures made the written information solidified. the quizzes were spaced well to also reinforce learning. I appreciated the global emphasis as I live in the USA. Seeing how varied clubfoot services and experiences are across the world.||The anatomy component was very well covered. the best element of the course was learning about ponseti method in correcting clubfoot. This course has wide journal articles and book chapters. So I found very useful researches. Though I am a physical therapist who works with the pediatric population, I have minimal experience with clubfoot. This course was very well organized and helpful in building a strong foundation for me if/when I get to work with children with clubfeet. I find all the topic very educational and useful. I think the best elements are the crucial roles of health practitioners and parents. The best elements of this course is that, very clear explained about ponseti method with video presentation. The Physiopedia reading parts and the quizzes at the end. The physiopedia reading material and the quizzes. First of all, I feel this is the first time I really understand the clubfoot topic although I did read about it before. The course was done so good, so seriously deep into all the elements of diagnosis, treatment, and follow-up. |I feel I can much more understand what parents and children are going through and know much more of what to look at during the years following the maintenance phase. It was such a great to have the course laid out so well. It was very well planned. The progression of information was very appropriate. I liked the fact that it had information for the complete beginner. The video presentations were very helpful and showed such a variety of learning opportunities. I enjoyed a lot learning on managing children with clubfoot, to me the videos are the best part, so much to learn! Comprendre la prise en charge des enfants ayant un pied bot. J'ai apprécié le plus la troisième module. Pour moi tout les parties du cours sont très utiles parce que j'apprends beaucoup de chose à propos de pied bot que je n'ai jamais connu dans ma vie ,qui va me servir durant toute ma carrière professionnelle. J'apprécie tout parce on peut pas prendre une partie le tout sont vraiment intéressant ,il nous aidera dans notre carrière professionnelle. Le score de pirani,l'utilisation des étapes des phases de la méthode de ponseti, prise en charge des pieds bot et différencier les types de pied bot. Les vidéos et les articles. Moi personnellement je lis d'abord les articles ensuite je visionne les vidéos je comprends mieux le module. toutes les parties de ce cours ont été d'une grande utilité. Mais les parties traitant la question de moulage et le score étaient vraiment intéressante. Toutes les parties étaient intéressante, mais j'apprécie très fort les vidéos. Pour moi, toutes les parties du cours étaient utiles pourquoi, parce que pour corriger un pied bot ils nous faut tout un processus pour avoir obtenu un meilleur résultat du problème causé par le pied bot. C'est la raison pour laquelle que toutes les chapitres ont une importance capitale. Merci! La partie de la définition de la méthode de Ponseti et surtout le traitement ; c'est à dire les 3 premières sections. les parties les plus utiles sont:|- la première section: l'anatomie et physiopathologie du pied bot.|-la 3eme section: les phases du traitements et comment les faire. Le score de Pirani et la méthode Ponseti. Mon plus grand problème était de ne pas pouvoir traduire les vidéos en français. La partie qui était plus intéressante pour c’est la où on explique de façon méthodique méthode de ponseti et j apprécie beaucoup les vidéos, ils sont très explicite et instructifs, les expériences également était agréable donc en résumé c était complètement parfait. Les parties le plus apprecié et utile sont pour moi:les differentes types de pied bot comment les connaitres leurs traitement surtout la methode de ponseti et le score pirani. Le traitement du pied bot par la methode de Ponseti. L'introduction du pied bot,Méthode Ponseti,Pied bot atypique, L'approche multidisciplinaire dans la prise du pied bot, Ténotomie, évaluation du pied bot, Pied idiopathique bilatéral, adhésion au traitement du pied bot, score de Pirani, erreurs courantes dans la prise en charge du pied bot, le moulage, la manipulation etc. Les vidéos où les spécialistes du domaine explique leurs expériences dans le traitement du pied bot. C'était très intéressant! J ai tout apprécié.et ce qui m'attire ,j’estime que les formateurs étaient tous enthousiasmés pour nous partager leurs connaissances. J'ai bien aimée la partie explicative des différents types de pieds bots et la dernières partie du cours avec les pieds atypique et chez les jeunes plus âgés. Les parties qui etaient les plus interessantes pour moi sont l'espace forum, les videos et les chapitres pdf. La méthode Ponseti et la manipulation du pied bot furent, selon moi, les meilleurs contenus dudit cours.De surcroît, les quiz intégrés à la formation nous ont grandement aidé. Je trouve que les cours écrits + les vidéos créent une certaine répétition qui permet de bien apprendre et retenir les éléments. |Le questionnaire me semble facile mais permet aussi de se remémorer les différents éléments. J'ai apprécié beaucoup le rappel sur l'anatomie du pied.je dis presque tout.il n'y a rien qui me déplaît je pense que tout a été très utile. Les pages Physiopédia étaient très claires et bien synthétisées. Les cours sont assez succints, les discussions et les vidéos qui sont très explicites. La partie la plus intéressante est la quatrième. Je pense que tous les parties étaient util, bien détaillé. La partie la plus apprécié est la quatrième . Les vidéos ont été très intéressant. |La révision sur l'anatomie du pied était d'une importance capitale. C'est la 4eme partie, car elle a mis l'accent sur des cas les plus facile à retrouver en Haïti. Les images et les cas cliniques m'ont Bcp aidé, vu qu'on ne pouvait Pas pratiqué cela m'a permis de mieux m'orienter et de comprendre de quoi il s'agit. La quatrième partie car elle nous permet d'avoir une idée plus global de la chose. Pour moi les vidéos me sont très utiles car je suis visuelle. les videos où on peut vraiment voir comment faire la manipulation et moulage du platre. J'ai beaucoup apprécié que le cours utilise différentes méthodes d'enseignement.. P.ex. le texte avec des images, les vidéos, les questionnaires et les forums! Super beau cours que je recommande à tous les physiothérapeutes qui travaillent en pédiatrie. La mesure de la déformation du pied bot via le score Pirani, la méthode Ponseti sont, entre autres, les meilleurs éléments du cours. Je pense qu'il faut revoir la traduction en français. La traduction automatique n'est pas appropriée á cette formation. Make the videos or the pages optional, there was a LOT of repetition between the videos and the pages. More videos of clubfoot in babies. What it looks like in "real life". Some of the videos (especially the interviews) were a bit too long. Sometimes the information page was followed by a video that repeated the same information. This could be useful for people who benefit from reading and then listening but I found it a little bit repetitive sometimes. There was some problems with videos, there was moments when wasn't sound. I think it will be useful to add more case studies. For me was useful questions during videos when you stop and should to think about some things by yourself. It helps to remember more important things and later put more attention to them. This course was very informative but it is just theoretical. I did enjoy getting the clinical reasoning behind the techniques used. Some sources contradict each other while others should be better proofread (e.g. using the Pirani score in neglected clubfeet, errors in grammar in the last case study. The video presentations from Africa Clubfoot Training are extremely slow. I personally used the x1.5 speed option in Youtube and it might benefit other participants to let them know this option exists. Also these presentations were almost exact repetitions of the relevant physiopedia sections. Perhaps you could let participants choose whether to learn by reading or watching or both. It seems to me that this course could be much briefer and perhaps 2 weeks is enough, considering the possible removal of repetitive content. Less repetition each week and more information about physical therapy during and after clubfoot treatment. I think the course is improved enough and we should keep in touch with any recent publications to keep improving the course. Not all quizzes questions seemed to work equally in pushing learners to think. Discussion forums are a little bit difficult to navigate and I haven't found an option to tag a person to let them know I would like to ask their opinion on something they have written. On the other hand, this old fashioned design makes me concentrate on learning, but not on talking and procrastinating, which is helpful at the end of the day. To me all that is need in included in the course. I don't know of any resources. There was no problem. For me I think everything was in place and I really enjoyed doing this course. No need to improve the course, it was great! I would like to have more information on the French Therapeutic Method, but I understand why it was not included as the Ponseti method is the gold standard of treatment and requires less participation from the parents. Provision of more up to date research articles would be useful - the literature search task was not particularly clear nor beneficial. Length of the discussion videos should be shorter. Some discussion forum questions were to people whom working with clubfoot children. I could not write what was asked but I could read what they say. The video clip should be more elaborate and easy to play. Maybe not so much repetition about the same information. The Clubfoot videos move a little too slowly and would be nice to have more video of some of the manipulation and casting instead of just a slideshow on a video. Have more interesting videos if possible. By organizing practical sessions for the course participants. I can not think of anything at this time. Except that maybe a practical session could be organized in key locations in the world once the on -line sessions are done. I think we need more time, to increase the duration of course. This aspect is probably hard to improve, but the discussion board hardly provided me with useful information. Users tend to only post broad answers for the sake of completing the task. Maybe if the questions asked were more complex, this might result in more of a discussion between users. Before commencing the course check the vedios,rest of the part course are excellent and very informative. Some of the videos are quite long and if a transcript of the video can be posted as well it would be great. The video's from Africa moved through the material very slowly and it would be great to see real video and not a video of a powerpoint. it was said that each week I would spend approximately 4 hours doing the course, but if you read everything and watch all the videos I do spend 5-6 hours completing it. Interactive discussions maybe? Meaning to set up live chats where people can join to ask direct questions. Maybe more quizzes would be helpful to further test and solidify learning. The pictures attached sometimes should be more from other angles so that a more comprehensive understanding of the foot deformities or improvement could be seen. It need some more practical videos than texts. It can be improved by providing more videos about casting, manipulation and common mistakes the clinicians do while doing plasters. If the cross referrals also included with the main contents,it might easy to read in a flow. I found there was a bit of repetition between the video and the reading page that did not need to be duplicated. Some of the discussions were hard to participate in if you did not have experience in a Clubfoot clinic. While it was helpful to read about other clinicians experiences, it may have been beneficial to have additional theoretical discussion questions. More study cases with videos and photos after every intervention also whole physiotherapy of neglected clubfoot of older children. More videos which could show how the foot is changing while every intervention. The required physiopedia pages and videos were repetitive and the narration on the videos was very slow. It can be improved by adding more practical sections of patient's management. More images, quizzes with images. I felt as though 4 weeks was a short amount of time to finish the course. I would have liked to have some additional time to dig deeper into the material. I think as it is the course is well arranged but in the discussion area its difficult to find someone, it could be easy if a can search for a name of a person I want to reply or tag for them to see for learning purpose. Some videos was not heard very clear and also certain interviews. I will suggest that more live video ponseti method be presented in future workshop. honestly this has sharpen my knowledge of clubfoot and ponseti method. More case studies can be included. Constant reviews to know the latest as I saw from the videos that it was basically Africa and asia and they are not that recent. I think this course is improved to increase the duration of the course, longer duration is better to fully understand clubfoot treatment. Additional resources could be selected more to reduce the number of resources. To provide PDF copy of all the lectures notes. I think that a little improvement can be made with videos - before the videos there were links where I could read about different methods and all the videos were basically the same. To me they were a little bit boring and I would have preferred that there were some new information and the lecturer could speak a little bit more enthusiastically. I would have also liked if there were more information about physical therapy after the treatment. For example what to do when there's a child who has been treated with clubfoot but has some other issues/problems like imbalance etc. Are there any significant elements for the treatment to keep in mind. learner needs to know or do in order to increase their own knowledge by taking the course. I am not sure how much value this adds to the course as they are lengthy to watch. I would appreciate a video report from a clubfoot treatment centre, to see children being treated.I noticed a few technical problems with videos. I like that you have videos and written information for different learners, but it did appear redundant. It was sometimes difficult to assess the online forums. For whatever reason, there were times where I could see the page, but was not able to type a response. More exciting videos - perhaps a different narrator voice that is easier to listen to. A lot of images/pictures were representative of low income countries - perhaps capturing some of the higher income countries as clubfoot exists there as well. A bit of detail on bracing regime for syndromic and neuropathic clubfoot. For those of us with experience casting or treating the recurrent clubfoot in areas where medical care is readily available, it would be nice to have a discussion board where clinicians can problem solve the more difficult cases and how they have managed the patients long term. For instance, the style of AFO or shoe orthotic used to maintain correction in the weight bearing foot. For me personally I would have liked to see more videos of different children with various degrees of clubfoot. Particularly since I am suspecting an issue with my own patient I would have like to see more older children in weight bearing/walking postures. I found the slideshow lectures to be very slowly spoken. I understand that this was for the benefit of non English speakers but I found this to be frustratingly slow when I had limited time to study. I would have liked more time spent on the more advanced subject matter such as identifying relapses as that is where I feel my knowledge lacks some depth. The discussion forums didn't work. If someone commented on your text, it was hard to find because of so many participants and long lists. The course was very good. Couldn't find any fault with it. Being a physio based course they were no soft tissue techniques given that were given to families or what the community therapists could complete. I.E. should we be completing the soft tissue techniques not holding on to the calcaneus???? I found that the videos were redundant to the chapter articles, so perhaps one or the other, although this likely reinforced my reading! i found the discussions/forums not very helpful. There was enough in the course besides this. By increasing number of cases discussion. For me I did not encounter any problem on this course. I could say that maybe we can limit the video time, some of it is quite long already. We can also have more videos from different experiences around the world not just limit it into 2 or 2 organization who support the project. I think the course can be improved more on the discussion forum and on feedback on questions asked. Also,assignments I think should be part of the necessary parts to meet up with in completing the course. The video's sometimes were very slow. I found myself wandering off sometimes during them. Slow speaker and slow turnover of slides/pages. Videos were quite lengthy so to watch them all was quite data consuming, otherwise I found nothing to be improved really. Simply a request to allow the learning videos for download. I didn't encounter any problem from the course. If they were any challenge, it was a network challenge from my end which slowed me down and at some point got me discouraged. Howbeit, Physiopedia is doing a great job and I appreciate it. I think the course is presented really well relatively very resourceful on Journal articles, it gives us more detailed information about the Ponseti Method and how it is widely used as effective clubfoot management. Address management of secondary clubfoot especially those relating to underlying neurological issues. Use of a less monotonous voice on the videos. For those of us complete ring after a full day's work his voice was not conducive to staying awake. While the Africa project videos were good the presentation was somewhat tedious and I could not figure out how to transfer the summary points which would have helped me. I was not able to control the videos very well, ie go forward or back up, etc. Even though this is my second Physio course I still have a difficult time understanding the course organization (technology), takes me several chapters to "get it"
I think it could be a little longer there is still so much to learn. I did the optional activities and I felt they were very valuable and maybe they should be made compulsory. On at least one video the small screen obscured the diagram that was relevant to the discussion. There were some spelling areas and periods of time when the voice over on the videos stopped working. Also maybe adding in a quiz with each of the case studies to enforce the concepts of the material in the study rather than the discussion. The forum , if we can remove it, the time is not enough we need more time for this course because there are a lot of materials. We can improve this course through practical, if it would be done. I think the course will be improved by increasing the period time because the course was full of information and that needs more time. There was a point where a question was asked that we hadn't learned the answer to, yet. I think the course could be a bit more concise in terms of information that needs to be read. The discussions have some good comments in there, but I found that there was limited actual discussion going on. A forum where people are having conversations with each other, and questioning each others practice would be beneficial. Five weeks course is a bit lengthy, I would suggest shorten it to 2 to 3 weeks. Also it will be good to arrange all the video topics together. Discussion forum too large with little two-way conversation. Often forgot to check if anyone commented on my comment. Also with more than 200 posts per forum, untimely to read through , especially when threads of "haven't experienced" or "never seen" occurred. |Need to maybe split enrollees by therapists and md's to make forum discussions smaller. Or split by geographic location....hard to find anyone in U.S. Replying. Improving on the discussion to make more interactive and learning experience. It would be great if the page would automatically scrolled to my last completed activity. I wish there was a section about interventions as a PT and what we can do in our practice to work on improving ROM and strength. I'm more of a reading type of learner, so the videos to me were not useful. Some of the videos and topics seemed repetitive as well, such as how it affects different incomes/different countries/etc. I would like more evidence based resources on the physiopedia pages. I think the course content was on point. If the videos could be transcribed to assist with problems loading them. I had to try several times to watch the videos due to poor network. Written transcript of the videos. Some of the presentations were quite 'dull', and I would have preferred to be able to read through the content myself as an alternative. The lecture videos need to be faster, the lecturer speaks extremely slowly and in monotone voice, and I found it challenge to stay focused. Maybe some more individual work. So the participants have to look for answers in internet or from science papers. I did not enjoy the long videos on the interviews with other professionals and families. I felt it was some important information, however overall the videos were way too long. There should be someone to answer your questions promptly whenever you have them. Actual videos instead of a video of a powerpoint. Have an optional shorter or different course for people who treat children who are managed in a clubfoot clinic and need to know how to do treatment while they are still in night brace phase and incorporate with other diagnosis such as spina bifida and arthrogryposis. More case studies must be shared, so that one can improve his or her independent practice. Automatic updates of where you left off and how the learning is 'tracked'. Reduce the number of discussion posts required and enforce constructive, engaging and educative discussions in the remainder. Right now the posts are not quite engaging. Videos shorter and the voice speaking speeding up a bit. Felt dragged out at times. My only suggestion would be to run the course at a different time of the year. I found it pressured to complete the course within the available time frame while also planning for end of year holidays and Christmas. Whilst the repetition can be useful to consolidate learning, at times the repetition was too great. Additionally whilst the videos were useful some of the media quality was poor and therefore it was difficult to discern what was being covered. I was unable to access two critical journal articles, I am not sure why I was unable to access them. As other articles I could access. The interviews are a bit lengthy. And I suppose that the practical demonstration of casting and manipulation video tutorials may be added. I do not know maybe if it takes a while to review some of the videos of presentations. Some of them the sound did not work out. The discussion needs improving. Too many people and hard to follow. I don't know if anyone answered on what I wrote because I never understood how to check it. Improved access to the discussions and some of the interview videos could be shorter and more precise. I would like more follow up information regarding long term activity functional performance. The presentation videos occasionally had parts with no voice overs when there should be one. Other than that, all is fine. I think the quizzes are too short. I would have loved to have my questions answered, been able to engage by asking and answering other participants questions. The other Physio management apart from Ponsetti method can be included. The discussion forums are more monologue can be more interactive. Can provide a online mentor for discussion. Can be more interactive. It is a bit difficult to update the activity items over the dashboard. I really enjoyed the course the information was interesting, learning new intervention in management of clubfoot. information was well received. I think the information was well put together and very useful. There were some videos were there were parts with no sound. Not sure if that was meant to be that way. Ponseti page under introduction lists two phases as casting and maintenance vs correction and maintenance phases so this seems like an error. Having an opportunity to practice casting would make the course better. I felt the interviews were a bit longer than they should be. More information about how to get involved with club efforts worldwide, and next steps in terms of mentoring and hands on training for those wanting to pursue this. Pas de problème rencontré. Tout à été bien. Non je n'avais pas des problèmes. -Je n'ai pas personnellement rencontré des problème dans l'apprentissage ,au contraire j'ai eu à améliorer ma connaissance et capacité sur le pied bot et surtout sa prise en charge par l'amélioration de la connaissance de l'anatomie et de la physiopathologie du pied bot.|-En tant que médecin,je souhaiterai également que vous introduisiez la notion sur la technique du transfert du jambier antérieur et même la chirurgie du pied bot.|-Pour nous qui suivons ce cours en français, je souhaiterai que la traduction des textes soit améliorée pour une bonne compréhension. En essayant de trouver des structures dans chaque pays pour former des partenariats afin que vous puissiez référer vos étudiants pour des stages pratiques. Je pense que vous devriez travaillez plus sur la traduction, personnellement j'ai pas eu de problème pour visionner les vidéos j'ai préféré les regarder en anglais ni pour accéder à la page mais j'ai eu des compagnons qui avaient des difficultés pour comprendre les vidéos. En réalité, je ne sais pas comment parvenir à solutionner le problème que je vais citer. Il s'agit des vidéos qui ne sont pas disponibles à tout le monde sans l'usage des tablets. Car, parfois on pourrait utiliser d'autres appareils que ces derniers, mais l'accès aux vidéos pose problème. Bien sûr ce cours m'aide beaucoup à améliorer mes compétences,j'accumule assez de bagages pour pouvoir rendre un professionnel soutenu et de mettre mes connaissances acquises. Le défit que j'ai rencontré ce juste y a quelques recherches qui sont en anglais tandis que moi,je suis francophone. Pour moi j'estime tout est ok.
Ce cours est vraiment important pour clinicien, kinésithérapeute parce que ce cour apporte de nouvelles stratégies pour résoudre le problème de pied bot chez les enfants. On a mentionné plusieurs techniques pour améliorer les problèmes de pied bot. Je n'ai rencontré aucuns problèmes, mais le seul problème c'est que je ne peux pas faire des pratiques. il n'y a pas aucun problème, le cours est tres facile. Mon plus grand problème était de ne pas pouvoir traduire les vidéos en français. Ce cours a répondu à mes attentes et je n'ai malheureusement pas de suggestion à faire compte tenu que je ne fais pas partie d'une équipe traitant les pieds bots. Pour améliorer , il faut y ajouter des séances pratiques puis doit diffuser des en français également. S'il pouvait y avoir un moment de pratique il serait mieux. La pratique est un élément essentiel pour avoir une pleine compréhension du cours. Dans la partie francophone il serait important de vérifier la traduction des termes car cela peut porter à confusion lors des quiz lorsque les mots utilisés ne sont pas adéquats. De plus, je trouve que la formation ne convient pas nécessairement à la situation au Canada, ce qui fait en sorte que certains sujets abordés n'étaient pas tout à fait pertinent. Je n'ai rencontré absolument aucun problème particulier pendant le cours. Ce cours pourrait être amélioré en ajoutant des pratiques services, j'ai remarqué que dans le traitement du pied bot il faut savoir manipuler le pied pour la correction, donc ceci ne se fait pas juste en lisant, le pratique est nécessaire dans ce genre de formation. La manque d'information sur cette formation.|Traduction des vidéos selon le pays où l'on se trouve (langue)|Sois au cours de la formation je suggère qu'une séance de pratique serait indispensable à une compréhension encore plus vive. Avec les vidéos en anglais . Il serait préférable d'afficher les ressources dans la langue de l'apprenant. En outre, organiser une séance pratique suivie de cette séance théorique contribuerait à améliorer la dispense de ce cours. J'ai posé plusieurs fois des questions sur le forum pour lesquels je n'ai pas eu vraiment de réponses. Je trouve que chacun notait ce qu'il pensait du cours ou des pratiques mais sans réel échange entre les différents intervenants et les différents professionnels étudiant les cours. Je trouve cela dommage car il s'agit d'un cours international et je pense que la discussion avec des pratiques dans d'autres pays que le notre est intéressant. Personnellement étant en France, il est vrai que la prise en charge des enfants ayant un pied bot est assez répandue et je ne connais par exemple pas trop cette prise en charge dans le cas de pieds bots négligés. Cela aurait été intéressant plus d'échanges. Du coup j'avoue que je n'allais plus vraiment sur le forum, juste pour faire le minimum pour finaliser le cours. Mon seul problème si on pouvait sous-titrer les vidéos en français cela aurait été formidable. Ensuite je sais pas pour les autres mais j'ai certains points à date qui ne sont pas complets c'est marqué un logiciel j'aurais aimé que vous preniez cela en charge. Donner la possibilité d'avoir les documents comme des documents personnels afin de relire toujours les informations. Le problème que j'ai rencontré c'est que quelques fois je termine plusieurs activités et le pourcentage de mon calendrier d'activité n'augmente pas. C'est juste les vidéos et certains cours qui sont en anglais, je suggère la prochaine fois si cela se fera en français se serait mieux pour les francophones. certains articles qu'il est indispensable de lire ne sont pas disponibles en français. ||La version française des vidéos technique, traduites via google translation, ne sont pas de qualité et rendent complexes la compréhension.||Certains modules visionnés n'apparaissent pas comme lus. Vous donnez beaucoup d'articles supplémentaires... peut être qu'il faut les diminuer un tout petit peu... Ils vos pouvez aussi réfléchir avec les cliniques pieds bots disponibles dans la pays pour avoir des stages pratiques accessibles aux participants. Il n'y a pas eu de problème particulier car à chaque question posée sur une partie je trouve la réponse dans l'autre partie. C'était un peu difficile au commencement car pour la première fois je prenais un cour online mais je me suis bien adaptée. Non, je pense que vous avez fait de votre mieux à nous satisfaire de notre besoin d'augmenter notre savoir-faire. J'ai eu des problèmes avec les vidéos parceque elles sont sous-titrées en anglais. |Je recommanderais à ce qu'on soit capables de les sous-titres en français. |Et dommage certaines références sont en Anglais. Non,mais les sujets abordés sont vraiment intéressant. Etant donné que le cours du pied bot était en Français ,il serait mieux si les vidéos étaient sous-titrés que d'être complètement en anglais. Raccourcir les vidéos de plus de 15mns.|Le moniteur devrait vraiment participer aux échanges. Non, mais avec le problème linguistique ce serait mieux d'avoir une possibilité de traduction. Je ne sais pas, c'était très bien. Merci d'offrir enfin un cours en français! Quelques vidéos de interviews étaient trop longues. J'ai posé quelques questions via les forums... mais je n'ai jamais eu de réponses et comme je commence en physiothérapie pédiatrique (avec les pieds bots en autres) ceci m'aurait beaucoup aidé! Oui,j'ai rencontré des difficultés pour finir le cours la pourcentage demandée n'est pas stable. Évidemment que oui! Les formateurs pourront mettre plus de ressources en ligne à disposition des apprenants afin qu'ils puissent mieux se former. Les vidéos, la traduction en français était mauvaise, il faut améliorer ce point. Non seulement la traduction en nçais, la traduction Google n'est pas appropriée a cette excellente formation. Feel more comfortable with this population. I have found this topic fascinating. There is a local clinic, but as I am not working there, I have not had any understanding of the process as it has been kept "within the clinic". I know have confidence to know when to refer patients back to the clinic or the importance of educating parents when there child is no longer being cast if they are in the local community with me. This course has changed my practice a lot by different methods of positioning as how to hold foot during casting. 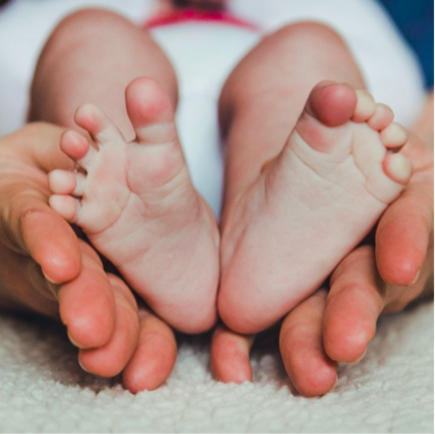 Personally I do not treat children with clubfeet but I feel that I gained important knowledge which is relevant to the broader aspect of my pediatric practice and might definitely be useful in the future. The course raised my awareness to the issue of clubfoot and its available treatment and I feel like spreading on the word where it is relevant. I could refresh my knowledge as the course is covering the topic from all aspects. Through this course I'm now equipped with necessary knowledge on how to handle/treat various CTEV stages from;assessment, pirani scoring, manipulation and casting, tenotomy and finally bracing. The course has really broadened my knowledge and practice of the management of clubfoot. The knowledge acquired was broader than I experienced when I studied a course which dealt with CTEV during my Masters degree in Physiotherapy. It is comprehensive and evidence based. Currently the OTs do a splint to correct the clubfoot, however, I now see that this is incorrect as the CAVE principles are not being following therefore the deformity will not improve and could possibly get worse. I am working with the OTs and neonatologists to develop a better way of treating these children. Knowledge gained about the Pirani scoring has made me realise that in our setting we are not casting the patients for the required period. I will engage with the orthopaedic surgeons to discuss this. I used the Pirani scale for the first time to re-evaulate a 4 year old I have with a club foot and I really noticed the difference in his two feet between the forefoot adduction and I don't think I would have noticed without this way of measuring. I will now understand more of the family psychosocial and economic factors that occur during treatment. I was also at present treating a 2+ yrs old with club feet; and this course made evaluate what I have been doing overtime, made me more cautious and adept in getting every stage of the manipulation in right order. In essence it was like a revision and theory as well as practical for me. Thank you physiopedia. it has given me a better understanding of what our ortho doctors are striving for in the positioning of the foot. It has also made it very clear how important family education is early on for the success of treatment. I now have a better knowledge when it comes to assessing and treating clubfoot. Importantly, that parents/caregivers have a vital role in the management. It has spiked my interest in the management of clubfoot with the aim of improving the quality of life of children with clubfoot. I have definitely learnt a lot about clubfoot and it's treatment. It has given me confidence to correctly identify clubfoot and provide parent education and where to receive treatment. The course has also really made me want to find a practical training course for clubfoot treatment (i.e. ponseti course). I have a better understanding of clubfoot and its treatment from the course. It will definitely allow me to be a better clinician when I explain to the parents about the prognosis and management of FAB in the future. Definitely, it has opened my eyes- |a) staying aware and looking at children feet differently|b) being able to share with colleagues and parents alike about the Ponseti Method | that no child should be left without services regardless of age if presented | with Clubfoot. Before this course I was demotivated when I see children with severe clubfoot as I do not know how to help them, now being more aware of the Ponseti technique I am keen on working towards raising awareness on clubfoot management and want to be involved in starting clubfoot clinics in my country. General exposure to the vastness of the problem and relative simplicity of its management has been a huge eye opener for me. I think I will spend more time with parents. Make sure they understand. Help them even more to get in contact with the clinic/hospital if they need anything. As I have more knowledge I will also be able to have deeper conversations with doctors and physios at the clinic (I work outside the clinic), and I will hopefully be able to recognize recurrences earlier. I learned about clubfoot and its management in precise manner. Hereafter if I get a chance to treat a client, I can provide with confident and can give proper referral for parents to get appropriate treatment for clubfoot. This is an amazing online workshop that has sharpen my knowledge on clinical modification for treatment of atypical and older children clubfoot. I have now a better understanding about the clubfoot and its management. I have to really encourage the parents to be more compliant and committed especially in the maintenance phase so as to have a positive outcome. My mindset and prognosis of clubfoot has changed completely. There is no give up state now. I think I can use the videos to teach my residents at Buenos Aires children's Hospital. I feel many of the problems described during the course were the same I experience in my daily work. This course has changed my way of thinking about the treatment of clubfoot. But unfortunately there aren't any clubfoot clinic in my country. I know what to look for now and can support families while they are getting treatment. I will feel more prepared when I see another patient with clubfoot. It has changed the way I will approach children with clubfoot ,definitely. And we'll make great effort to get everybody that has to be involved , be dedicated to implement the Ponseti method here in Suriname. I refer babies to the clubfoot clinic and might see sometimes a child after they have been treated with the Ponseti method. The course has changed my clinical practice that I will reinforce more the importance of continuation of the FAB at night. I have now an much better understanding of the Ponseti treatment. I have much more knowledge of the Ponseti method and plan to try to do practical training. I was not aware that this method could be used with severe neglected clubfoot and now need to share this knowledge with my colleagues in St Lucia and see if we can change our practice here. I've gained a lot of new informations about Clubfoot, I know about the Ponseti method of treatment now and I definitely want to practice on it, so I'm considering to volunteer in a clubfoot clinic. I have always known the importance of parental involvement in treating my patients, but this course made me even more aware of some of the reasons that patient's families to do always seek or adhere to treatment recommendations. This knowledge will make me a more effective clinician and give me perspective on how to approach education with my parents. It has helped me lot in evaluation and assessment and follow up of kids.also what I came to know is all different problems that patients face which leads to failure of treatments. I haven't worked and still don't work with CF patients. However, this course taught me a LOT and I have only one wish: to be able to participate in a practical training! I only see children long after they have had treatment for clubfoot but this course has highlighted the need to watch for recurrence of clubfoot. Descriptors for Pirani scoring have added clarity and accuracy to my scoring. I am reviewing the materials I am using for casting and the finer details of moulding technique. I think that this will allow me to gain a better understanding of how to include the family in treatment and not just through education. It will also let me look at how we can find family support in our clinic. When I get a Clubfoot patient, I will definitely know how to access and at this stage send to a Clubfoot clinic to start Ponseti asap! This course has really influenced my practice in that I will endeavor to improve my skills more on it and recommend it for other clinicians just as I have started already. I can now inform parents better when they come to me. I do not see clients initially with clubfoot but I do see them when their clubfoot is part of a syndrome. It is helpful for me to know what the family went through with this and where they are now and to know how I can support them. I feel as though a service can be offered at my district level for clubfoot, even a potential clubfoot clinic. I am keen to visit a clinic and shadow/volunteer at one to see all of this on a practical level. This course has changed my clinical practice in the management of clubfoot a lot! It has provided me with standard/evidence-based theoretical as well as practical knowledge in managing Clubfoot. It has also increased my competence and confidence. I have much better insight now, and find the idea of precision in the use of the Ponseti method very important in the assess-plan-intervene process. I also find the pirani scoring system a good parameter in guiding the practitioner towards good treatment.I have also learned how important it is to support and involve the parents, and that this approach needs a multidisciplinary team!!! I am reassured that ponseti method can correct and treat clubfoot deformities. Better assessment of the ankle and foot. Recognition of heel varus and how to correct in conditions not relating to clubfoot. I was only aware of the casting but now I am fully informed about it.I would also play an active role in ensuring that the caregivers keep bringing the children till our goals are reached. I had never treated any children with clubfoot so this course has definitely changed my view on my role as a Physio and being aware of how much can be done for children with clubfoot. If I get a child in my school with a past history of clubfoot correction I will now know what to be aware of and screen for should the foot regress. I had very little knowledge about clubfoot when I started this course. It also helped me review my ankle/foot anatomy. Helped improve my knowledge about clubfoot. A useful review of foot and ankle anatomy for my client assessments. I am prepared for the presentation in the future. I think I can understand some long term outcomes that I’ve seen, a lot better. This course change my clinical placement a lot, thank you Physiopedia. Especially my pirani score. The review of foot and ankle anatomy was a good addition to my general clinical practise. I think the course has informed my understanding of etiology, what happened and what is possible in late post surgical repairs, as well as one post casting, post bracing child. I am planning to play a support role in our facility which involves working more closely with physicians and the babies with clubfeet; this course provided me with the groundwork to do so. I am certainly more knowledgeable in this area. If I come across these cases in the future I will be better at discussing with my clients family. Understand clubfeet better and will be able to assess better if and what physiotherapy is needed for a patient. Now I have added Pirini score in my clinical practice of clubfoot deformity cases. It has introduced me to the Ponseti treatment. I'm now able to treat a clubfoot patient correctly when that time comes. My role is to advise other physiotherapists working in my country for any new development at the field of physiotherapy. |I find this course useful to update myself at the management of clubfoot and in return pass these information to other physiotherapists. I am more confident with the management of the clubfoot. Have more insight into decision making that occurred with my son's care. As a therapist, helped clarify differences btw types and different orthopedic concerns depending on type and severity.|Also, I passed the final quiz...but don't know the correct answers for the couple i kept missing. Although I have not been a part of club foot intervention, because it is handled by orthopedic physicians in my area, I have learned how to support families whose child may be undergoing intervention and maintenance treatment. Also, I learned how to understand and interpret the scoring data (Pirani), if I should come across that information in chart reviews. Improved by competency in dealing with clubfoot cases. I will be more knowledgeable and be able to better recognize clubfoot in patients presenting to me. I am not involved in the treatment of clubfoot at my current position, but it will be good knowledge to have in case I am ever in and area that does involve PTs. I feel more confident with treating children with clubfoot as now I feel I have a better background knowledge of the diagnosis. I believe that following this course, I can give a better treatment to my future patients that have clubfoot. I am now also capable of understanding what parents are going through and to further give my support. Currently I'm not working with clubfeet. However, I hope to get back to PNG and would dearly love to work on developing some sort of intervention there as what I have seen so far is essentially no intervention. It has given me a greater knowledge base on the condition, assessment and treatment.How it affects infants and their families in my country and worldwide and issues that affect compliance with treatment. I feel more adequately prepared to help a patient with clubfoot. While I am not trained to cast or manipulate, I now know what is required for these patients, what to look for, and how to see how help for them. I understand basic knowledge about Ponseti that I've never learned in my university before. Currently I do not work in a clubfoot clinic, but the course has improved my knowledge on clubfoot, and I feel I will be able to clearly identify clubfoot from Pirani assessment, inform the family of the treatment and refer to appropriate services. Of course, this course has changed many things. First, regarding teaching to my students, I am already starting to implement the new information in clubfoot. Second, in my treatment as in the past, I used to treat these cases by traditional exercises. I never thought clubfoot was treatable without surgery until after going through this course. This is the first time i am knowing about the ponseti method. I am glad i participated in this course,thanks physiopedia for making it free. A entire perceptive was gained on the treatment of clubfoot. I have had no training in clubfoot other than in this course. Found more self assessment tools for data collection and roye score for relapse. I know how to evaluate more precisely. I have had patients with clubfoot but I had no idea how to do the proper evaluation. I have a much better understanding of clubfoot management for all ages. Thank you so much for offering this! I think this was wonderful! Has given my greater knowledge in the assessment, treatment and management of club foot and given me a greater perspective of challenges in treating clubfoot around the world. I will now be able to refer correctly and advise patients that I come across with clubfoot. I feel more confident to assess and treat clubfoot clients now. I understand the protocol and the importance of each phase. I also know what I am looking for when it comes to recurrent clubfoot signs. I think it definitely increased my background knowledge regarding the condition and once again reminded me how important communication with parents and patients are (not only for clubfoot, but for so many paediatric conditions). I think it was an edition to my scope of practice if I get permission from my head of department I will start learning and doing it as it is very interesting. I used the Pirani score to help see the difference between a child's foot who has unilateral clubfoot but that is very mild but could see a difference I hadn't noticed before with this scale. I am better at talking to parents about the importance of following up at club foot clinic, help them remember when they are due to go back and praise them for continuing the course. In my example it has not. I took this course because my niece was just born with CTEV. I wanted insight to her management. I do not practice in this area. This course has enlightened me about the Ponseti method of treatment including the success and challenges. It is a course I will recommend to my colleagues. It truly showed me how much need there is in the underprivileged community and so much more hands and education is still needed all over the world. I have only seen clubfoot on children with spina bifida, but have never seen it treated. Learning about the different treatment opportunities really broadened my view. In so many ways but most importantly I am now able to make better assessments of clubfoot. My assessment skills have improved. I now know how to deal with clubfoot in older children. I previously just referred for corrective surgery without any attempt on ponseti treatment. I am now hopeful that this theory course will lead to me being able to undertake a practical course so that I can be a Ponseti practitioner in a rural location in a country where it is needed. I feel myself confident to talk about every aspect of club foot. And feel myself ready to join the clinic to learn the practical aspects of manipulation and casting. Clubfoot was completely unknown for me so this course is a light to comprehend the Ponseti treatment and how to manage this condition. I feel happy to being part of this course. I have obtained a deeper understanding to TEV and its management. the only thing is put what I have learnt into practice. I am more aware of the background to a number of my patients care and this helps with the management of any secondary problems as a result of their idiopathic clubfoot. I am going to create awareness on clubfoot and it's management by putting up a write up in my church magazine and I will also encourage my hospital to set up a club foot clinic. I currently don't see children with club feet but it has opened my eyes to the global incidence and treatment. I do not treat any children with clubfoot currently however it has given me a passion to work with them in the future. I now understand the Ponsetti method of treatment. I have recently moved into paediatrics as my background is in Adult physiotherapy, and I feel this has helped me to establish a foundation of knowledge to build upon as I progress in my career. I am now aware of the Gold Standard treatment of clubfoot, what to look for with recurrence and will be more likely to refer as appropriate. I also now understand the bracing and treatment surrounding that so I can support families and educate them through this process. As a growing Occupational Therapist, I have more knowledge and evidence based practice, I can confidently pass on the knowledge to colleagues and also work with other experts in the clubfoot rehabilitation team if opportuned. I do not work directly in this area, but i feel confidant I can across a child with the condition I would be able to assist the family in finding the correct treatments. efore my thinking with regards to our role in the management of clubfoot. We are not able to regularly access services, and this course has definitely got me thinking about what CAN we do where we are, and with what we have. I am looking forward to brainstorming an appropriate 'service package' for our level of care with my colleagues that completed the course with me. It had definitely made me more aware of the condition and what can be done to manage it. With this course I am able to comprehend all aspects of what a clinician would have to do to ensure that patients and parents/carers are able to get the best possible treatment. With this course, I am made more aware about clubfoot condition and the treatments available for such cases. As a clinician, this is useful in considering the best possible treatment for patients and their parents/carers to be involved in. Before attending this course I was thinking simple stretching exercises or some splints will be enough for treating simple idiopathic clubfoot and surgical procedures will be good for regid atypical cases.But now I have realized that the only best way to manage clubfoot is ponseti method and should be tried in every case. I am a parent of a child with bilateral clubfeet. Her feet were made complex by poor ponseti manipulations and casting. This information has helped me to understand the anatomy of her so that I can ask better questions of the ortho and direct the physical therapist we work with in addressing her specific needs. The information will also help me write an informational letter to the team that made her feet complex in hopes of opening up the communication pathway and advocating for their further training to avoid more cases of mistreatment in the future. I can open up a clubfoot clinic with my colleagues so as to attend to the needs of the community especially those affected with clubfoot. My approach to assessing and treating relapsing and neglected clubfeet. Yes. I learned a lot especially about manipulation and other clinical components related to clubfoot.Very importantly I learned about parents participation.the Parent information booklet was useful. I don't treat a lot children with clubfeet, but I feel I could advocate for patients who are questioning invasive (surgical) versus Ponseti method. I haven't had many opportunities to treat clubfoot in infants but the course inspired me to find out where treatment is done near me. This course had helped me to understand the pirani score and how to place the bands when correcting clubfoot. As I mentioned, I feel that my understanding about the process those children and parents went through, make me more empathy. As a professional who treats these children, I have to understand about the different phases, what to look at, and the ability to be aware of the recurrence symptoms is SO important!!! I had very little knowledge about managing children with clubfoot and I used to only follow the orthopedics surgeons prescription without ability to evaluate the patients, now after passing this course I treat my clubfoot patients confidently which is awesome . Cela me permettra en bien prends charge des enfants ayant des pieds bots. C'était casi tout nouveau pour mois ce cours car je n'ai jamais eu une formation à ce sujet. -Ce cours a vraiment amélioré ma pratique professionnelle car ce cours est venu corriger certaine erreurs que j'avais sur la connaissance du pied bot par exemple dans la manic'est un pied droit, d'utiliser le pouce gauche sur la tête latérale de l'astragale avec l'index gauche et le majeur tenant la malléole médiale mais ne touchant pas le talon. Les doigts de la main droite peuvent alors manipuler l'avant-pied si nécessaire. Pour un pied gauche, d'utiliser le pouce droit sur la tête du talus et les doigts de la main droite autour de la cheville, la main gauche libre de manipuler l'avant-pied. ).Avant je ne suivais aucune théorie pour tenir le pied. Ce cours est très important pour moi car je n'ai jamais eu une formation sur le pied bot avant. Maintenant je vais chercher la clinique qui travaille avec les enfants pied bot juste pour pratiquer, puisque j'ai jamais travaillé avec les enfants qui ont un pied bot.et maintenant je suis en mesure de travailler avec une équipe qui prendre charge avec les enfants pied bot. Ce cours m'a beaucoup changé même quand j'ai pas l'habitude de travailler avec les enfants ayant un pied bot mais ce cours m'a beaucoup aider juste pour améliorer ma capacité professionnelle. maintenant j'ai pas peur de travailler avec n'importe quel enfants dans une équipe est en charge pour les traitements du pied bot. Cela cours m'aide à avoir des connaissances approfondies sur le pied bot et me permet de mieux évaluer mes patients pour planifier le traitement. Ce cours peut porter beaucoup de changement lors dans ma pratique en clinique pour une bonne évaluation. Je suis beaucoup plus consciente de cette déformation appelée pied bot. Avant je voyais des personnes avec cette déformation je pensais pas qu'on pouvait traite le pied bot je n'avais aucune idée de la méthode de Ponseti score Pirani etc. Maintenant je pense que je suis bien imbue du sujet je pourrais même sensibiliser les gens de mon entourage sur cette déformation. Ce cours me pousse à mettre beaucoup d'accents sur ma façon de prendre en charge les enfant avec de pied bot. Ça crée en moi l'amour du travail, l'importance de travailler en équipe. Je comprends que pour atteindre un objectif avec succès, il faut des bras, il faut l'apport d'une équipe. Étant donné, je n'ai jamais eu l'opportunité de travailler dans un service qui pris en charge le traitement du pied bot grâce à ce cours j'accumule de nouvelles techniques théorique et pratique.En faite,c'était formidable, ce cours m'aide à changer ma pratique clinique. J'étais pas dans la pratique du traitement pied bot mais après ce cours j'aimerais bien le faire dans ma carrière professionnel. Ce cour nous donne une vision globale sur le problème de pied bot, comment réaliser une évaluation de pied bot, les moyens de prévention, les erreurs que nous devons éviter. Les principes que nous devons respecter, l'éducation de la famille ceci joue un rôle important dans le traitement de pied bot. Ce cours m'a vraiment changé ma pratique en tant que kinésithérapeute. Ce cours a augmenté mes connaissances sur le pied bot et surtout sur le traitement. Après avoir fini ce cours,je peux avouer que maintenant je peux prendre en charge du pied-bot et je peux contribuer à diminuer le taux des enfants vivant avec cette malformation congénitale. ce cours a beaucoup renforcé mes connaissance sur la méthode ponseti. Ce cours peut m'aider dans mes pratiques surtout pour une bonne évaluation avec des enfants pieds bots. Une ou des séances de pratique pour chaque types de pied bot serait profitable pour nous. Ce cours m'a permis d'être en mesure de reconnaître un pied bot, de savoir par quelle méthode il peut être traité. Je peux maintenant questionner les parents ou les informer sur l'évaluation et la prise en charge des pieds bots. Je suis également en mesure d'expliquer pourquoi il peut y avoir récurrence ou récidive du pied bot. Ce cours me donne une autre approche aux enfants qui souffrent du pied bot. Bien que je ne travaille pas sur des enfants pied bots mais ce cours m'a donné un package pour cerner un cas de pied bot si un jour je le rencontrerais. Je suis devenu plus professionnel dans mes approches et utiliser les méthodes approprié pour chaque cas. Comme je l'ai ai dit tantôt, puisque je ne suis un professionnel en la matière,je vais pas présentement pratiquer ce que je viens d'apprendre.mais à la lumière de la connaissance ,g peux conseiller autres qui sont sur mon chemin d'aller se faire soigner parce qu'il a encore de l'espoir pour un pied pot. Je ne pratique pas encore avec les pieds bot mais mes connaissances sont grandement améliorées. J'étais vraiment ravis de ce cours car avant je n’avais pas encore assez de connaissances approfondies au sujet de pied bot. Comme je l'avais dit dans une discussion, je n'avais aucune idée de ce que c'était le pied bot, ni comment le traiter. J'avais l'habitude de voir des gens dans les rues avec cette déformation, mais je ne savais pas qu'il y avait un traitement. Ce cours m'a beaucoup aidé, maintenant je peux dire que je suis prête à aider ou à travailler avec des enfants ayant cette déformation. Le changement c'est que avant cette formation j'avais l'habitude de faire un léger étirement sur le tendon d'Achille ,mais au cours de cette formation j'ai appris plein de nouvelles choses et je crois que maintenant c'est le contraire. Ce cours nous a permis de nous améliorer beaucoup face à cette pathologie parce-que nous apprenons beaucoup,entendons aussi,voyons très bien et comment aider avec beaucoup de patiences et montrer aux parents comment ils peuvent faire avec l'enfant puisqu'ils passent plus de temps avec lui. On doit vous dire j'apprends beaucoup.merci! Je ne pratique pas personnellement cette rééducation mais j'ai des collègues qui m'avaient accueillie dans le service spécial pieds bots pour me montrer le traitement. Ce cours m'a donné quelques clés de plus par rapport à ce stage que j'avais pu réaliser auparavant sans une connaissance aussi poussée. Notamment par rapport au moulage que je trouvais difficile (mais rien ne vaut la pratique) avec des astuces pour connaître la pression qu'il faut exercer ainsi que le moyen de maintenir la correction du pied en changeant ses prises. De plus, je me rend compte de l'importance de la discussion et du soutien apporté aux parents. Il est vrai que les kinésithérapeutes que j'avais rencontré d'une semaine à l'autre parlaient sans cesse des attelles, montraient des photos et faisaient beaucoup de répétitions auprès des parents dès le début du traitement pour expliquer cette phase. Ils expliquaient les prises en charge, la possibilité de recourir à des attelles d'occasion et le processus à suivre avec la durée. Je n'ai pas encore pratiqué mais je pense que j'ai puisé assez dans le cours afin que ma pratique soit parfaite. Ce cours m'a permis d'avoir une meilleure compréhension de la prise en charge des pieds bots et je pense que je vais pouvoir mieux accompagner les parents dans la compliance de l'attelle pédieuse nocturne puisque je comprend mieux son utilité. Il m'a permis de mieux comprendre l'aspect du pied bot et sa prise en charge. Avant je connaissais pas de techniques de traitement pour le pied bot. Et là maintenant je crois que ce cours va m'aider à prodiguer de meilleurs soins aux patients. Je voyais des enfants avec difformités du pied mais pouvais pas les classifier. Aujourd'hui je peux non seulement classifier les types mais aussi évaluer la gravité ou non du pied bot. Aujourd'hui je suis prête à pratiquer avec un expert en traitement pieds bots. Ce cours m'aide à améliorer mes capacités. Compréhension bien meilleure qui doit maintenant être complétée par de la pratique. Pas encore de changement. Ce cours m'a ouvert les yeux sur la problématique du pied bot, ayant un regard clinique la-dessus, il a aussi ouvert mon champs de compétences. Maintenant, je serai apte à travailler dans le club foot de mon hopital. Et faire en sorte que les patients puissent bénéficier de mon savoir faire. Je suis plus intéressée et motivée à faire des pratiques, sensibiliser les gens qu'un enfant dans cette condition peut avoir un meilleur style de vie. Je crois qu'on doit essayer de donner les possibilités aux autres intéressés qui ont des barrières linguistique de profiter de vos connaissances soit en utilisant traduction Google. Comme je l'avais dit tantôt le ne travaille pas ds un clinique pieds bots mais la formation que j'ai eu me permettra d'apporter mon soutien et me sensibilise sur cette déformation. Ce cour va m'aider à intégrer le clinique pied bot. Le cas du pied bot ne m'était pas aussi clair auparavant même si je ne le maîtrise pas mais j'ai assez de connaissances pour le reconnaître et savoir comment réagir et conseiller les parents affectés. Je ne savais vraiment rien aux pieds bots;le cours me l'a pratiquement enseigné. Ce cour me permettra de mieux aide les patients ayant des pieds bot. Quand j'aurai un cas de pied bot, je saurai plus où diriger mon patient et comment le traiter. il a clarifié beaucoup des aspects méconnus pour moi, particulièrement sur le pied bot atypique. Maintenant, je vais porter plus attention à différentes parties de mon évaluation et de mon traitement et ainsi faire un plan de traitement plus adéquat. De plus, je pense que l'un des messages clés que j'ai pu retenir est de toujours supporter et éduquer les parents! Il m'a enseigné la méthode Ponseti, une méthode beaucoup plus sûre qu'une intervention chirurgicale. J'utilise aujourd'hui des attelles pour un traitement adéquat du pied bot. Mes compétences dans la prise en charge des enfants avec des pieds bots parce que j'avais très peu de connaissances sur la prise en charge des pieds bots. Je n'avais pas de compétences dans la prise en charge des pieds bots mais avec cette formation je suis bien outillée pour donner mon appui et mon avis dans la prise en charge des enfants avec pieds bots. Barrière linguistique |Les videos devrait être traduite dans la langue de celui qui suit le cours.